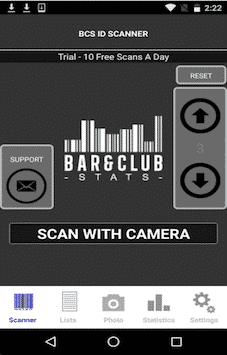 Bar & Club Stats is a new advance Photo ID verification tool developed for Bar, Nightclub, Events, Casino, Stadium, etc. We have developed Android App for Bar & Club Stats, a client located in Ney York City. Bar & Club Stats ID Scanner protects against Fake IDs and underage drinking while and enables business to smartly tackle their customers. BCS is also integrated and compatible to read Mag Stripe ID card with the help of hardware attachment. 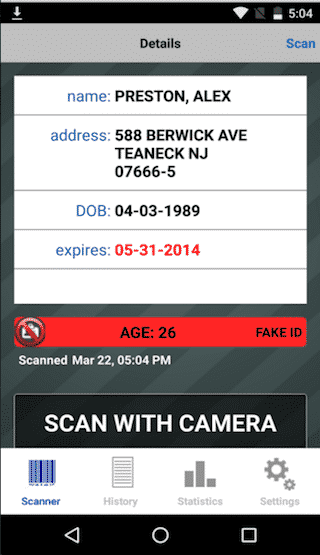 User can access device camera to scan ID cards. 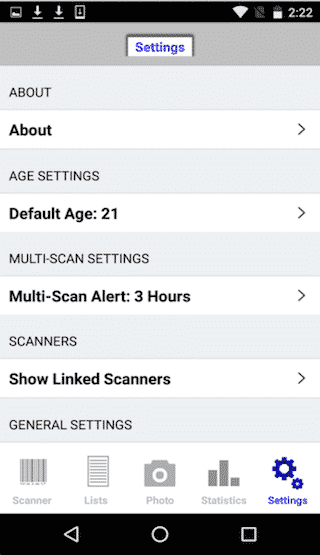 App will send multi scan alerts. 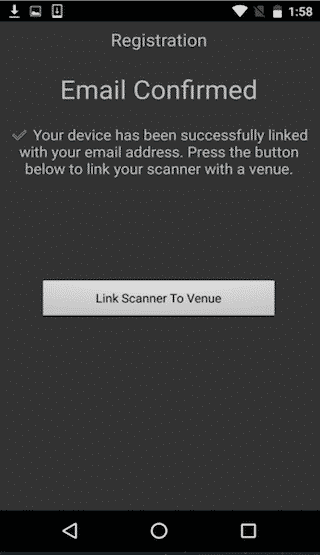 User can setup multi scan alerts among different devices. 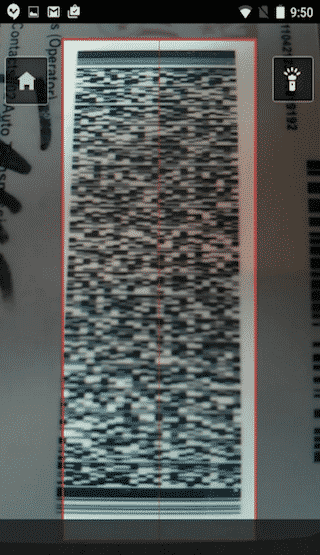 User can attach hardware to read barcode and magnetic stipe IDs. Hardware reads 2D barcodes and magnetic stripe drivers licenses from all 50 states, military IDs, and Canadian provinces. BCS has also ability to read driver licenses from all 50 states of USA and Canadian province. 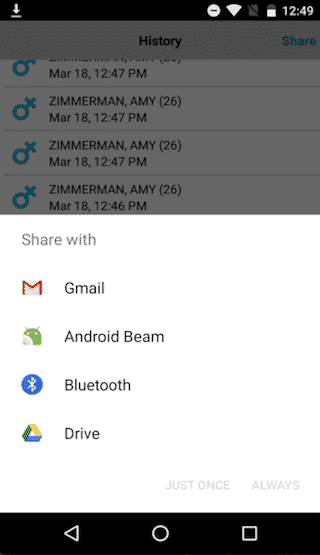 User can access flash button under the camera. User can get details of scanned ID card. 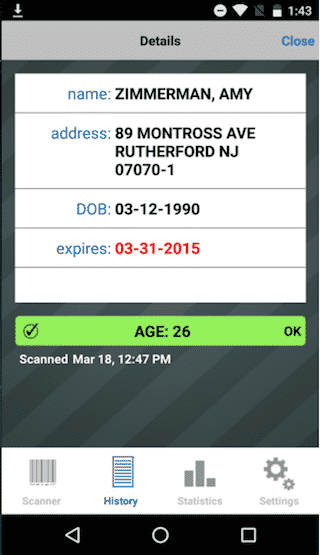 User can check history of scanned ID cards. 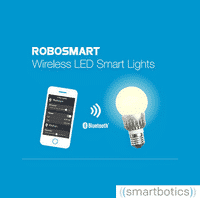 User can change scanning settings. We had a tight deadlines to complete this project and we had to understand existing system including BCS website, iPhone app, database processing and external hardware working. We have developed Android Version of Bar & Club Stats app in a turnaround time of 30 days with all desired functions. BCS has features like Barcode Scanning, Photo ID Tracking, and Scanning History .